Upon arrival, you choose between thin and pan crust — each pizza is 9 inches and costs $7.49 — and select one of their specialty pizzas or create your own from their plethora of toppings and one of three sauces. Your pizza is placed in a conveyor oven and ready in less than five minutes. After trying my own creation of a pizza that my friend dubbed the “J,” my skepticism was erased. I freely admit that I will be a repeat customer. The design is set up perfect for the young urbanites that populate the West 7th area and want their food fast and on the inexpensive side. On the other hand, we had plenty of time before our movie started so we relaxed and watched the Yankees game on the flat-screen above our booth. And speaking of drinks, beer and wine are available for those who want to hang out. 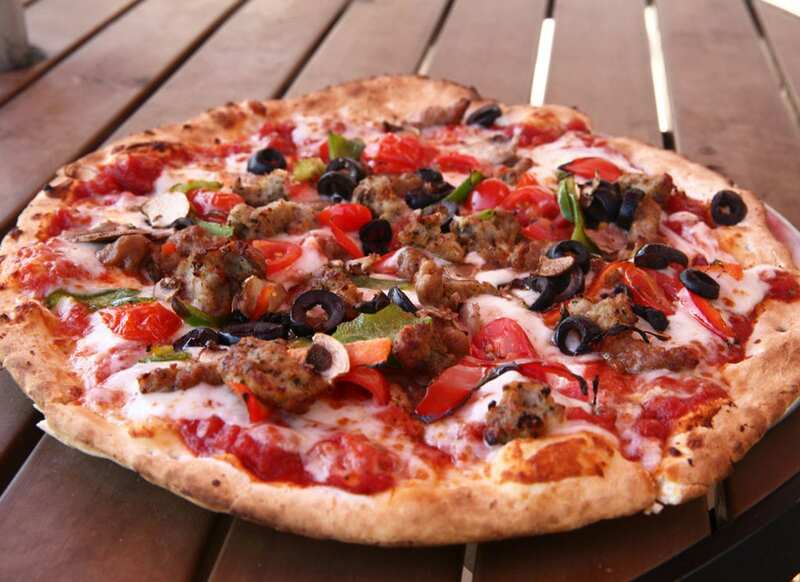 Expect Pie Five Pizza to be a big hit in the vibrant neighborhood.